on preparation. These are a few tips to help you prep for your son or daughter's outdoor party. 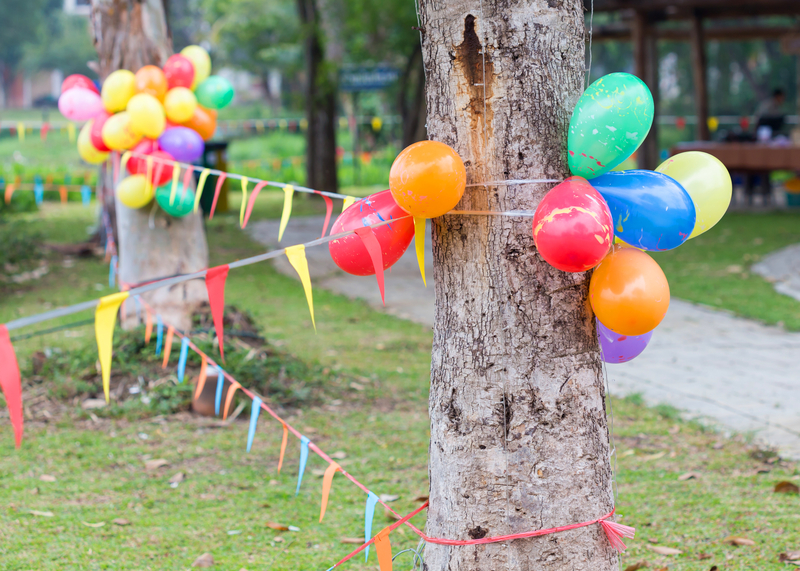 grass helps cut down on pests that might otherwise invade your yard on party day. need to secure a generator for your bounce house or any other inflatable activities. shade -- for any adults who are in attendance. balloons stay inflated throughout the party. you can help ensure that all of the garbage ends up in the garbage can. option, buying plenty of disposable plates and cutlery will make clean-up a whole lot easier for you. that matches your little one's party to add to the decor on the big day even more. fruit or veggies for the fruit and veggie tray will give you that much less to do on the day of the party. is a success for you and the kids. If you’re looking for entertainment or concessions for your next party or event, make sure to check out what we have to offer! We specialize in bounces and slides, but we also have loads of games we can include with whatever package you’d like!